Stores 18 times more energy than traditional ceramic pizza stones, provides even condiment baking, crispier crusts, and faster baking times! The SilverFire Baking Steel is perfect for making high quality pizza's at home. Our 19" square 1/4" thick Baking Steel doubles as a Dragon Oven shelf! Ideal 1/4" thick Baking Steel heats up quickly and accommodates 18" diameter large pizzas, while saving wood fuel! Ingredients on edge and center bake faster and more evenly than on stone. 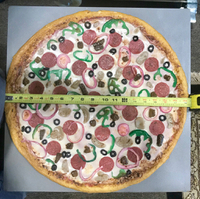 Our hot rolled 19" diameter baking steel plates are first cut to size with radius edges. Next they are cleaned and media blasted with recycled glass to remove impurities, scale, and other cosmetic steel production debris. Locally made here in Oregon. They are re-washed a second time after blasting to remove media blasting residue (recycled glass). Our final production step is to pre-seasoned with high smoke point vegetable oil in our Dragon Ovens. Simply treat as cast iron and re-season is required. These are steel plates and raw steel has a natural patina. 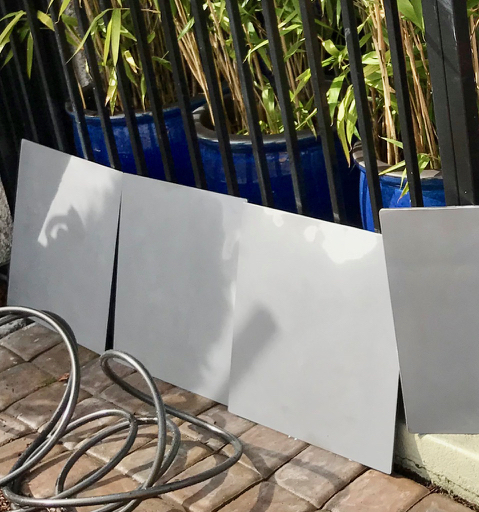 While we do perform media blasting and provide a cosmetic finished look, raw steel plates have scratches, gouges and other imperfections. They are designed to be baked with, not hung on the wall. 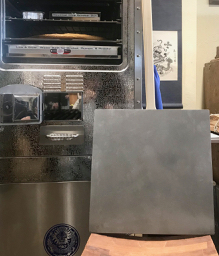 In photo below, our optional 19" diameter (1/4") Baking Steel shown as Dragon Oven shelf above the optional 18" square Fat Daddio's water bath pan and below oven baking rack. 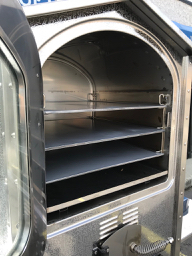 Our Baking Steels are not standard with our Dragon Oven and a shipping quote required, due to weight and size of package. 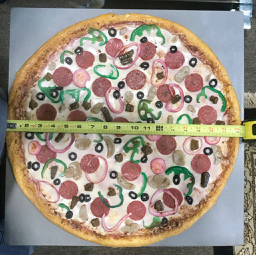 We find 19" diameter 3/8" & 1/2" thick Baking Steel are too heavy, have too prolonged heating times and require more fuel in our Dragon Oven. Our preference is for 1/4" thickness Baking Steels, taking in weight, heating times and baking performance, and wood fuel parameters. 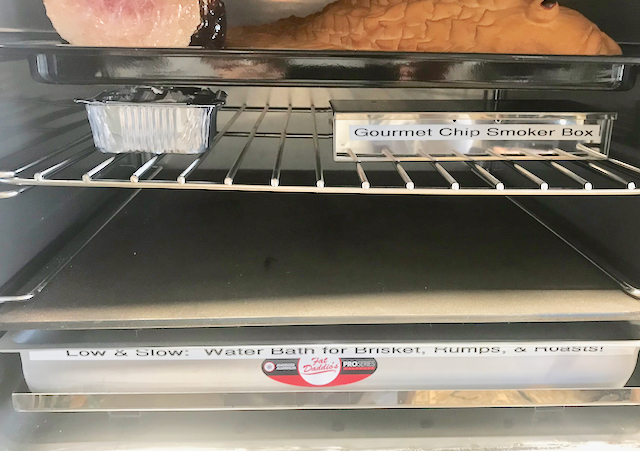 While other smaller diameter baking steel diameters are available, our 1/4" thickness offer best all around performance in our wood fired Dragon Oven.